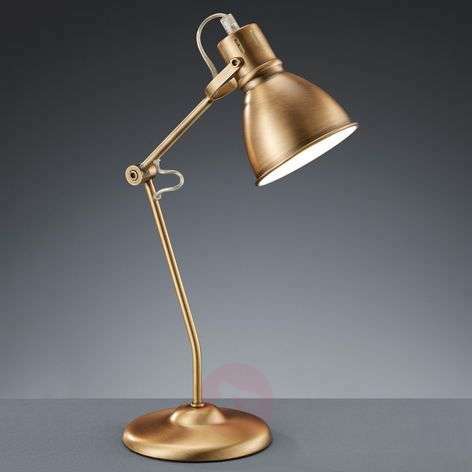 Whether on the desk, on a side table in the living room, or as a beautiful home accessory, the Keali table lamp in antique brass look is an eye-catcher in the room. In addition, the lamp can be integrated into any home décor. The height of the upper part of the frame of the light can be adjusted individually by means of a joint. The light is equipped with a cord switch for turning on and off.